Skyfighter Carnival Ride Rentals are great for events, corporate events, company picnics, motion picture film industry, and weddings. Our amusement rides used at festivals, street fairs, county fairs, parties, birthday parties. Carnival Ride Rentals are delivered by BluegrassRides.com. 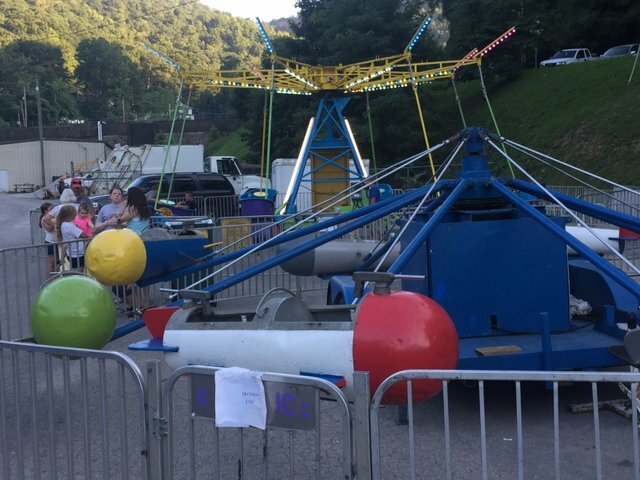 This ride features 8 Rockets that hold up to 16 children.